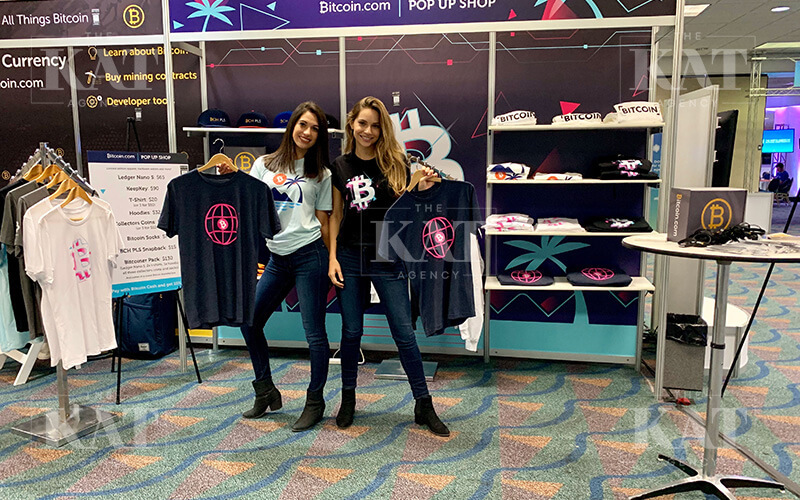 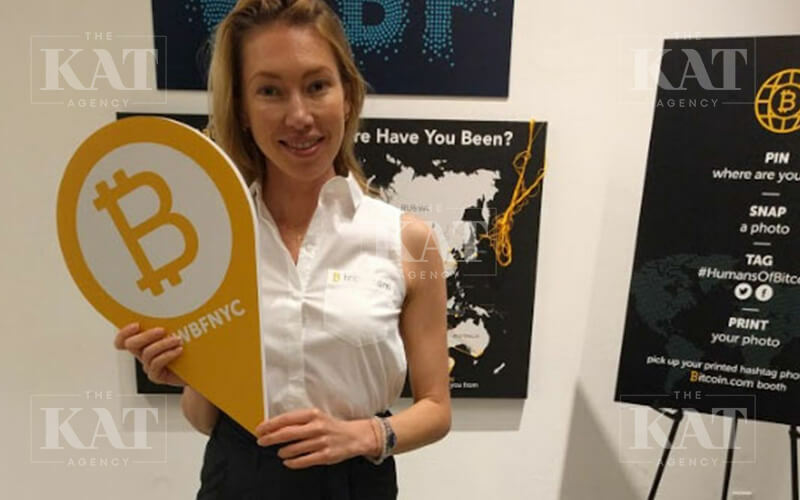 Need: With the rapid excitement of crypto currency and need to educate a vast audience, Bitcoin.com originally approached The Kat Agency to assist with 6 booth hostesses during the MIami Crypto convention. 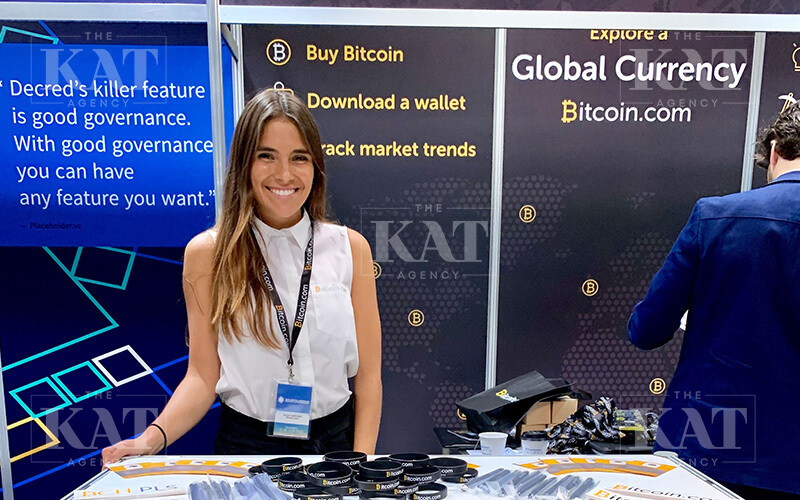 How we approached it: Assembling a team of 6 Trade Show hostesses familiar with finance and the crypto market, The kat Agency created a designated uniform for Bitcoin.com. 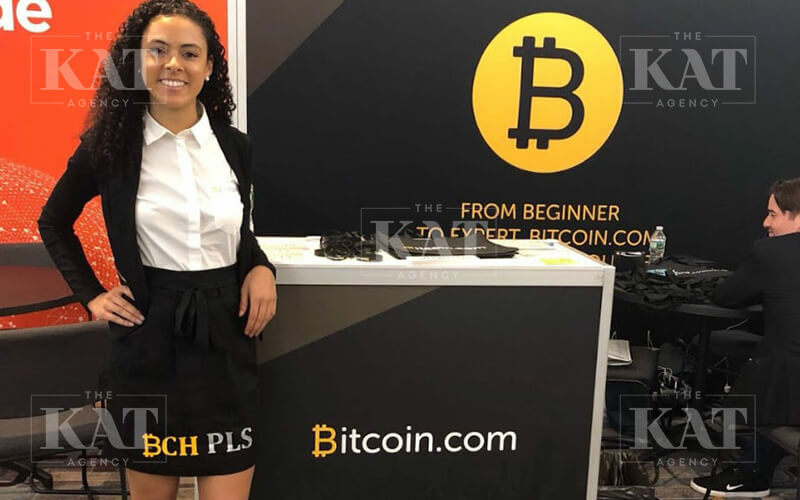 Training the hostesses in advance, The Kat Agencies founder, Kat Quinn, personally attended the event to ensure given the high profile, everything met her standards.